Our islands are riddled with abandoned rural buildings which are a gem of architecture. They vary from farmhouses to small rooms used for storing agricultural implements. Most of them still boast of original features of vernacular architecture and the attentive eye can still spot the xorok, the kileb, the roundels sculptured in stone, and the marbat for tying animals. There are laws to protect such buildings. 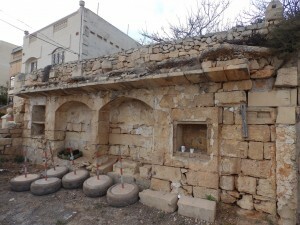 One of these is the Rubble Walls and Rural Structures (Conservation and Maintenance) Regulations of 1997 in which “rural structure” means any traditional rural construction, and also includes any free standing boundary wall in Ashlar masonry (gebla tal-kantun) bordering upon a rural tenement. The regulations state that it is not lawful for any person to construct, make any additions to, keep or suffer to be kept on, or as part of, or incorporated into, any rubble wall, whether or not bordering on any street, path or footpath, or any rural construction, structure or tenement, or any land, any drum, tank or any other object which is not constructed of rubble wall building material. The regulations continue to state that it is not lawful for any person to demolish or to endanger by any means whatsoever, the stability or integrity of any rubble wall or of any rural construction, structure or tenement, or to prevent free percolation of rainwater through the structure of a rubble wall, or to undermine the foundations of such rubble wall or rural construction, structure or tenement. Notwithstanding these regulations were are still witnessing on a regular basis the destruction of such structures, their modification beyond recognition or their complete neglect with the consequence that many are crumbling to pieces. 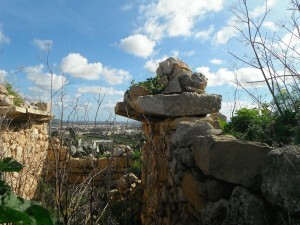 The Maltese countryside and rural environment are under constant threat. Not only have we continued to build in the valleys, but we continue to further exploit fertile land as people apply to build a rural structures for agricultural purposes to later develop and inhabit it. MEPA has issued plans showing Outside Development Zones but pressure is often made by developers for the altering of these plans.The authorities ought to maintain the original ODZ plans. Chapter II of the Declaration of Principles No 9 of the Constitution of Malta states that the Government is obliged to safeguard the environment and the historical patrimony of the Nation. These are principles that a Government which has Malta at heart is to follow. Whosoever commands or is given some form of authority over decisions that influence the nation is obliged to safeguard rural structures which are part of the historical patrimony of the nation. When vernacular rural structures are altered, the essence of the place is lost and with it is lost the contiguous characteristics, the anthropology, the bio-diversity and aesthetics of the whole surroundings. The word ‘Nation’ which was so proudly included in the Constitution when Malta became independent entails several unifying factors that distinguish one nation from another. The environment and the historic patrimony give us this distinguishing national identity. 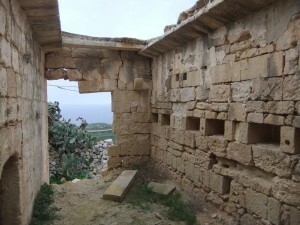 Therefore if a Maltese national feels that he belongs to his nation he is in duty bound to care and safeguard its heritage and environment by taking pride in being Maltese. The politician, who is elected to represent the Nation, is obliged to set the example. I am afraid to say that many times our very leaders do not practice this maxim. They do not communicate the sense of nationhood and are more concerned with abiding by what others think about us, with ‘pleasing the foreigners’. Yet, each one of us has the duty and the obligation of caring for our surroundings and vernacular rub an structures. 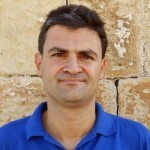 This entry was posted in Blogs, Media Statements, Save the Countryside by Stanley Farrugia Randon. Bookmark the permalink.